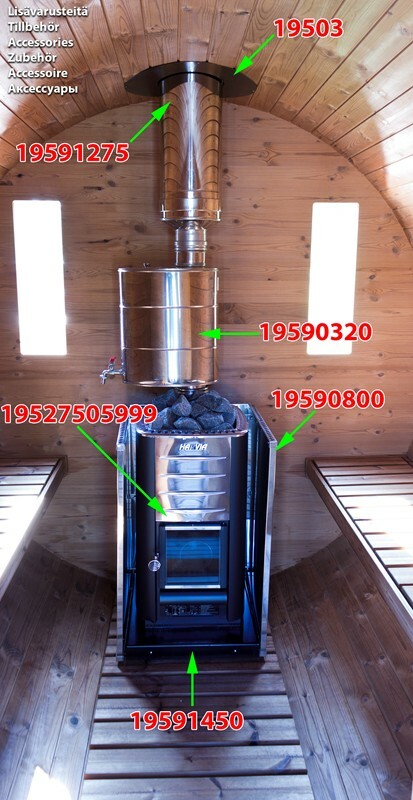 The Harvia M3 has a classic design and is suitable for smaller, woodburning saunas. It turns a sauna bath into a pleasurable experience and adds a touch of traditional sauna atmosphere. The even heat and efficient air circulation guarantee an enjoyable bath. The Harvia M3 comes equipped with a glass door, allowing the warm glow of the fire to complement the sauna atmosphere. The colour of the stove is elegant graphite black and it has a stainless steel air-flow spoiler. 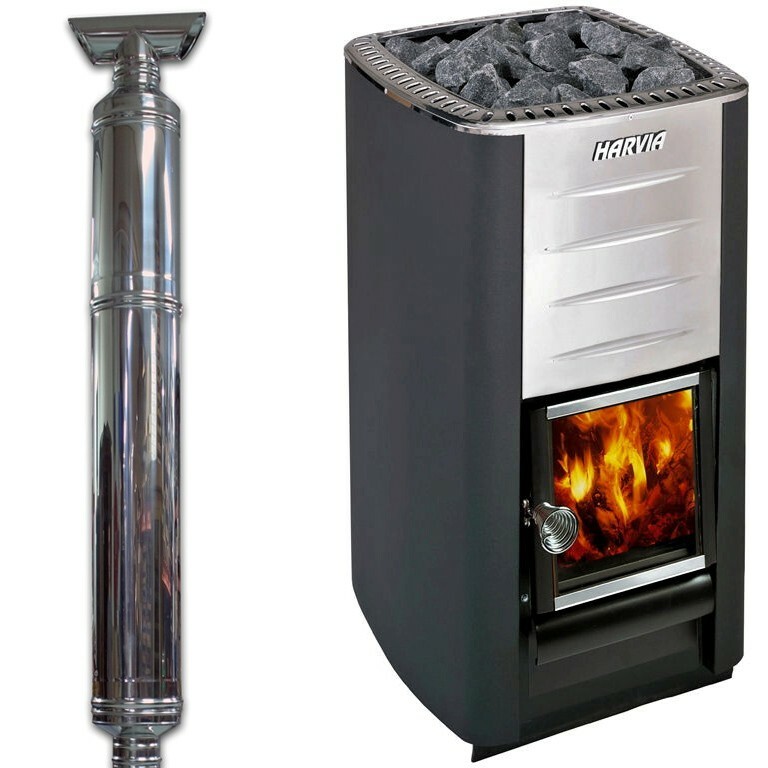 The M3 stove can be equipped with a pipe model water heater. Harvia M3 heater package with insulated pipe, connecting pipe 630 millimetres, rain cap and roof sealing.